From mini split ceiling cassette air conditioning to water fountain pumps, summer is on the way! If you’ve just bought a new water fountain, then chances are it already has a water fountain pump. The pump should be working fine, but if not, or if you need to replace an old water fountain pump, then you should educate yourself about how to choose the right pump for your needs. It’s a very important decision to make, so let’s get started. 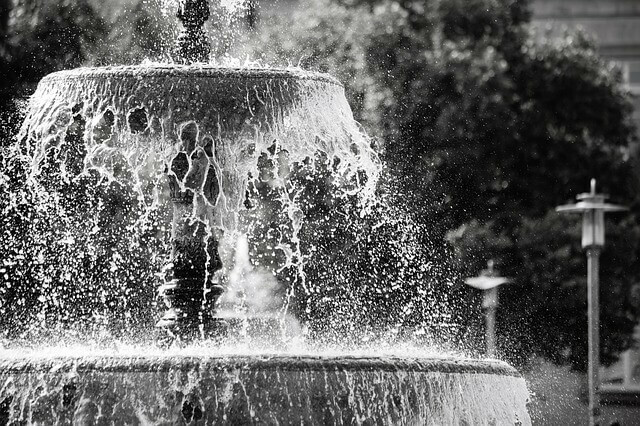 In this article we’re going to cover only a couple types of water fountain pump setups – the standalone type and the pond/fountain type. This type of water fountain pump is simpler. Simply follow the manufacturer’s recommendations for the pump. See what their warranty/guarantee is. As for price, compare how much wattage and amperage the water fountain pump uses. Smaller numbers means lower electricity costs, one of the simplest energy saving techniques. This is a more elaborate type of setup, so there are more things that you should know about. For small or medium sized ponds use a submersible pump. They’re less expensive and quieter than external pumps. A magnetic drive is better than a direct drive. It uses less electricity and is cheaper in the long run. Pond volume: you need a pump with the gallons per hour (GPH) of 1/2 the amount of the total volume of your pond. For example, if your pond is 1000 gallons, the pump GPH needs to be at least 500. This is because, in order to maintain a healthy pond, you need to circulate the whole volume of the pond once every 2 hours. All of the water will cycle through the water fountain pump, which will keep your pond and water fountain healthy. Water fountains don’t require maintenance that often; only once in a while. As long as you have the right size pump, it should be strong enough to handle the flow of water. To check if everything is working properly, make sure there’s enough water covering the entire pump, but keep the water level 3/4 to 1 inch lower than the basin rim. Then check the noise level after. If the pump is slightly exposed, add more water to cover it. This will reduce the noise level, and the water should be low enough that there won’t be any water runoff when the water fountain pump is turned off. If you need supplies or have any questions, contact us, we’re here to help!